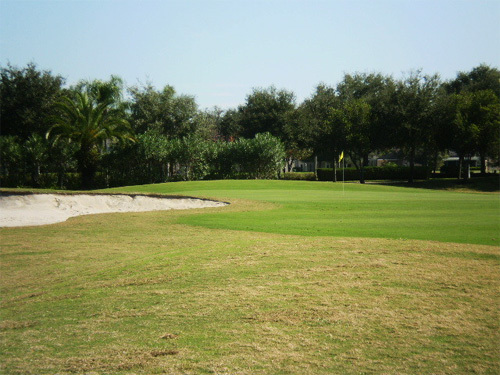 Next time you’re considering a fund-raiser or a private outing for your organization or business, consider a golf tournament at one of Tampa’s best courses Heritage Harbor. Heritage Harbor has become a popular location for such outings because of its intriguing and playable course and the many food and beverage choices at unbeatable prices. Staff at the course and clubhouse are eager to customize an event to suit your needs. Tournaments can be held any day of the week in morning, afternoon or both. The course can handle as many as 250 golfers with shotgun starts in the morning and afternoon. Every golf outing has to have hearty food and beverage to help players celebrate their pars and birdies. The Harbor Terrace Restaurant offers an assortment of basic and complex dining plans for golfers. From cookouts to fine dining, our catering menu offers a wide variety of breakfast, lunch and dinner options. You can begin with a breakfast buffet or a boxed lunch, and conclude with an Awards Dinner in our banquet room at the clubhouse. The lunch and dinner buffet possibilities are endless! There are several beverage plans, including cash and open bars available in our beautiful clubhouse and on course beverage carts. * Registration table set up in our Clubhouse or Outdoors. *** ONE DONATED FOURSOME FOR YOUR OUTING will be given to use as a prize or free giveaway. *Fully customized menu’s and packages are available upon request. All lunches include napkins, cookies, a bag of chips, one piece of fresh fruit ,and one voucher for a Large fountain soft drink or freshly brewed iced tea. Drink Tickets are available for your guests that would be redeemable in the Clubhouse and/or from our Beverage Cart(s). Discounted Pricing is available for beverage tickets with purchase of any of the above food selections. *Tickets are billed only if they are redeemed. During the duration of your event, specified beverages and/or snack items will available for all your guests to enjoy. The total of the final bill will be billed at the conclusion of the event. **Discounted Pricing is available with purchase of any of the above food selections. Tournament Guests can purchase what they desire for the duration of the event at thier own leisure if you are not interested in including any of the above Beverage Service options. All alcoholic beverages consumed on Heritage Harbor and Harbor Terrace Restaurant property is required to be purchased from Harbor Terrace Restaurant. All food and beverage pricing is subject to sales tax (unless valid tax exempt form is submitted) and 20% service charge.